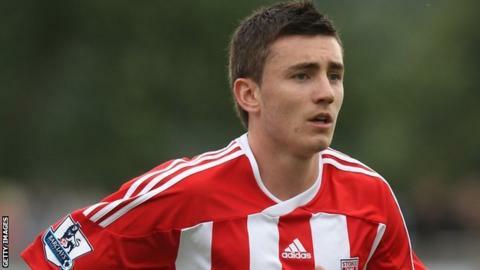 Southend have signed midfielder Matthew Lund on an emergency 28-day loan from Premier League side Stoke City. The 22 year-old can also play in defence and goes into the squad for Saturday's match with Northampton. The Northern Ireland U21 international made 20 appearances on loan for Bristol Rovers earlier this season and played against the Shrimpers back in November. Southend are without eight first-team players for the weekend because of suspension or injury.